It’s one of the best inbound marketing strategies out there. However, because it’s such a popular strategy, everyone’s now doing it. Site owners are inundated with pitches. It’s getting harder to get tangible results through it. But with the right tactics, you can still make guest posting work and reap handsome benefits for your business. In this post, we will reveal eight secrets to guest blogging success. Developing relationships with influencers in your space now rather than later can give you an advantage over competitors when you are pitching. Most sites typically receive thousands of pitches. If a host blogger knows you, the probability of your email being opened rises significantly. These days most site owners won’t look at a pitch from a total stranger. Write them a thank you note. Reach out to them on social media. Do all this and you’ll be instantly recognizable when you pitch. You’ll get a head start on your competition. When you do this genuinely amazing things happen. For instance, Kevin Duncan of Be A Better Blogger was invited to guest blog for Smartblogger because of his prolific comments. Bottom line: doing good to influencers triggers reciprocity which builds goodwill towards you. Many businesses claim guest blogging isn’t working for them. Often, the reason for dismal results is targeting the wrong sites. Jumping into the guest blogging bandwagon without choosing your target sites properly only leads to failure. The secret to success is picking your targets with care. Choose blogs that fit what your company wants to achieve. Target popular sites in your space that are frequented by the audience you are after. Zero in on general sites that may be interested in your topic (e.g., if you are a website designer you can contribute to a marketing site and talk about how to design a smashing marketing site). Download this useful list of almost 500 high-ranking websites that publish guest posts, grouped by niche. Aaron Orendorff, of Iconicontent, quickly established a successful business within a couple of months using guest blogging as the backbone of his strategy. He mainly targeted A-list commercial websites. His target is evident: top-notch commercial sites. Without a stellar pitch, your guest post campaign falls flat. Failure to include the host’s name or getting it wrong: Check the target site’s about page so you get the name right. Not including links to your previous work: Throw in at least three links to your previous posts to showcase your writing talent to the host. Pitching topics totally unrelated to the site: Make sure your topic fits the blog perfectly. Glaring grammar and spelling mistakes: Use editing tools like Grammarly to improve and polish to your post. Not reading and following the writers’ guidelines: You can find the writers guidelines on the main menu, sidebar, or footer. These common phrases are used to describe the guidelines page: “writers guidelines”, “write for us”, or “contribute”. Every site is looking for quality content to keep their content marketing engine going. If you give a site owner a publish-ready customized post, you are likely to get a yes. Use a tool like BuzzSumo to analyze the top performing posts on the site and model them. Look for a content gap to fill. Do this by scouring the comments of popular posts to hear what the audience wants to learn more about. Make sure you link to other related posts on the host site. Webmasters appreciate this as it saves them time. Include their favorite sites in external links. To discover these, examine the sites backlink profile using Link Explorer or Monitor Backlinks. This shows the host you know their site and mission. To increase your chances of having your pitch accepted, go the extra mile. Offer the host a valuable resource that complements the post. Let’s say for example the host publication is about camping. You can draw up a New Campers Checklist PDF. The host can offer it to readers as a free download and grow their email list. This shows the host how serious you are about adding value to their audience. On seeing this unparalleled commitment, they’ll say yes. Usually, blog owners don’t allow links in the post itself. They only give free rein in the author bio. Does this mean getting a link in the body is impossible? Not at all. What webmasters want are relevant resources that add value to an article. Here’s the intel on getting a contextual backlink. Ask: When you are upfront about links, the site owner will see your motives are good and grant your request. Relevance: As long as what you’re linking to adds value to the post, you will succeed. Natural: If the link is not forced, but fits naturally into the context of your subject, you’ll get the green light. Here’s an excellent example of a contextual link from Backlinko’s Brian Dean. 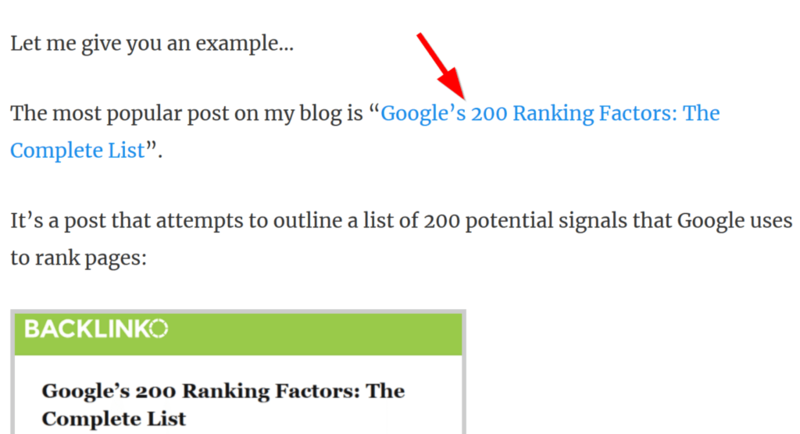 This was a guest post for Buffer where Brian was demonstrating how he substantially improved sign-ups by offering a unique laser targeted content upgrade on the post itself. The link isn’t spammy or unnatural. Probably, the last thing guest posters think about is their bio if at all. 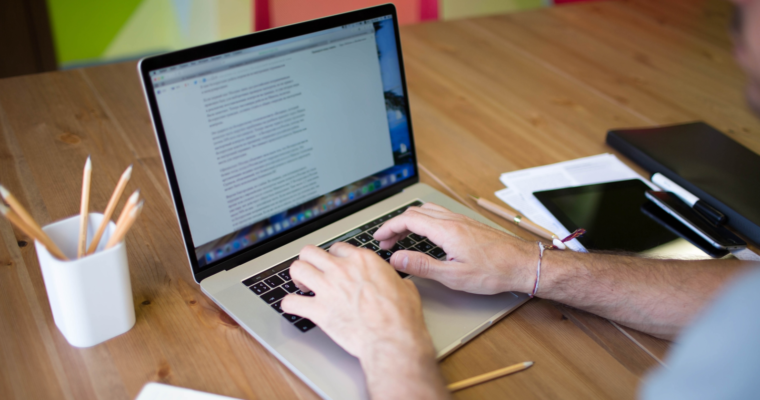 The hidden weapon of successful guest posts is an optimized author bio. Statistics from LinkedIn reveal the power of including a photo on your social media profiles. You receive 36x additional messages, 21x extra profile views, and 9x more people reach out to link up with you. Show off your personality so readers are drawn to you. Avoid using a one-size-fits-all bio. Tweak it to fit the specific audience you are writing for. You will connect better with audiences. Massage your keywords into the copy. Add some social proof so readers take you seriously. Check out this optimized bio below. The bio covers all the bases. It includes a pro-looking headshot, links back to my site, shares my company’s unique selling proposition, and underlines my authority by showcasing my book. When you write a guest post do all you can to maximize gains on the warm traffic you get. Do this by linking to a special landing page. Design a specific page targeted at your host site’s visitors instead of sending traffic to a generic page. Complement your guest post by offering users a relevant giveaway that suits the campaign you are running. Use interchangeable language on your author bio and landing page to enable readers to connect the two pages easily. Strip the page of anything that may cause readers to leave without converting or taking the desired action (e.g. don’t add link to other pages).